A remontoire is a rare feature in a watch and is aimed at providing a more constant delivery of energy to the escapement, in theory offering greater precision. 1. Does it in reality contribute to the watch's accuracy? 1. 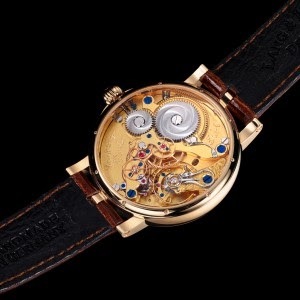 Does a one second remontoire (as in the Lang & Heyne Konrad) make it more accurate than the Gronefeld's 8 second remontoire? The Caliber V movement of the Konrad. Breathtakingly beautiful!! the feeling there is something at stake, adds something important to the decision making process and the purchase that makes it much more exciting in the end! IMHO 1. No, 2. No. 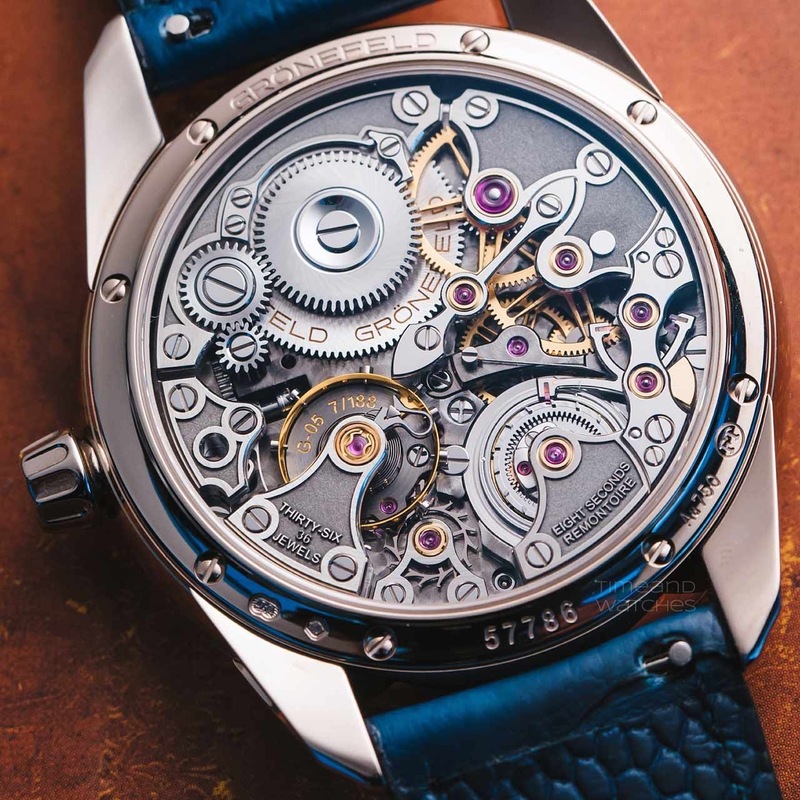 When I bought the Grönefeld Remontoire, they've told me the Story behind it. The remontoire in the clock Tower does have an even longer cycle time. Don't remember how Long. They've shortened the time for the wristwatch because they thought the original cycle time wasn't appropriate for a wrist watch. Just had a look at the lang & heyne website. Your FP Journe is keeping remarkable time but I know accuracy is one of FP's priorities when making a watch. His remontoire is obviously the pinnacle of accuracy. Your collection is immaculate, Andreas! I digress a little but have you noticed your Richard Lange Pour Le Merite with the fusee chain mechanism, keeping better time than your other watches?! The rate is constant over several days. At least over three full days. I haven't timed it beyond that. So may I ask how accurate are the watches daily? They gain 7 seconds a day. I've discussed this with a Lange watchmaker, who told me they would have to go back to Germany for adjustment. I've decided to wait until they need servicing. It's a minor annoyance. Thanks Mike for sharing this. And the marketing departments are willing to tell us anything.....And one thing is the Chronometer performance an other is aesthetics. - They both need to come together. I agree with you my friend! mistakes!! I am waiting for my RW Smith Series 2 which should arrive in 26 months. I must confess as I have not tried one on, I am not even sure if it is the right watch for me. I pray it is because mistakes of such magnitude are best avoided!! I feel as though we need to define remontoire. Thank you very much for your elaborate and informative technical explanation. You obviously know a lot more than I do. I shall read your explanation for the third time to fully digest what you have said. Thanks Mike for the compliment and for the in depth insight into Grand Seiko.